Indian body art has been a part of the limelight since ages. In fact, we’re all adapting our bodies as a canvas today, painting it with ink to be a part of what stands “in.” Sanskrit tattoos are beautiful but convoluted designs, as they bring close ancient concepts and fonts that must be understood to be applied properly. 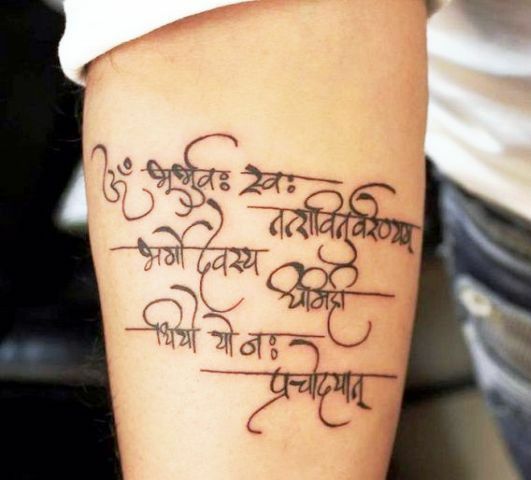 But if you’re a tattoo newbie, and want to wear something small but sweet, or are looking for some exquisite tattoos may be to define your state of mind, then Sanskrit tattoos are just your thing. 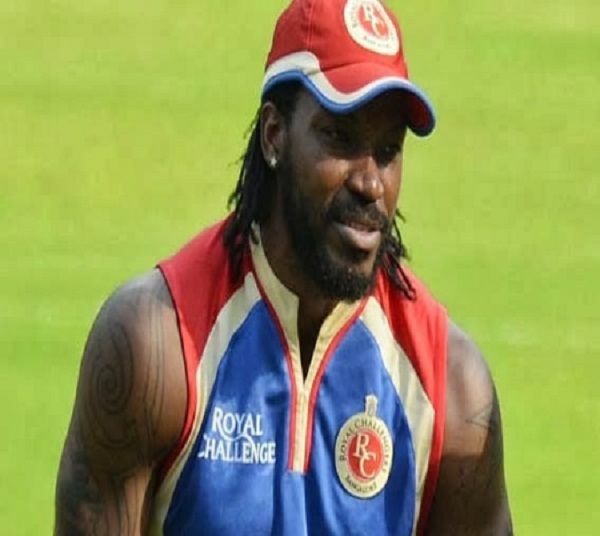 Sanskrit tattoos are nowadays finding so much allurement that even those who are not natives want to get them inked. 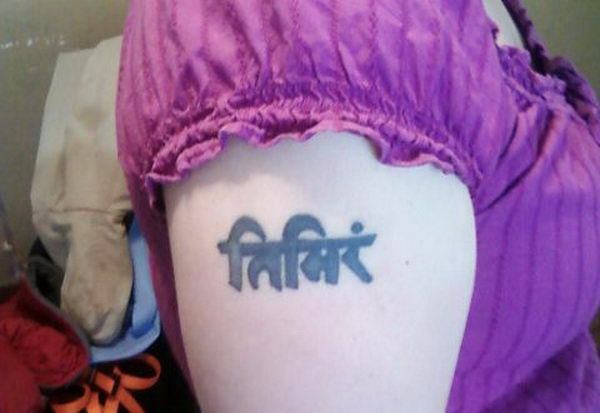 Let us find below some fabulous and famous Sanskrit tattoos along with their meanings. This can drive you in the era of traditionalists and customs too. 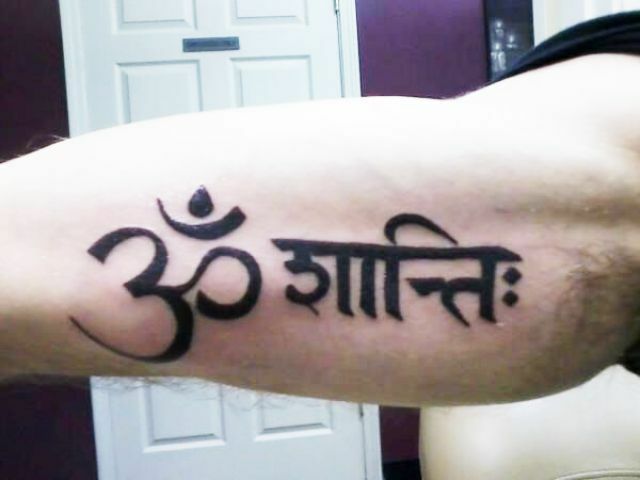 “Om” tattoo in Sanskrit is one of the best examples of first-class Sanskrit basic tattoos. Om is a spiritual sound and a sanctified icon in Hindu religion. It is also a mantra in Hinduism, Buddhism, Jainism, and Sikhism. One can delve deep into the ideology of Bhaktism by meditating or enchanting this sound multiple times. It is a binding term which channelizes the positive energy of an individual. So, if you are a saintly person, this can be one good ink option to go with. People all over the world have been using peace tattoos as one of their body inks. Shanti, which means peace, to be specific, inner peace is a frequently seen ink amidst Sanskrit tattoo designs. Shanti or Peace is a thing we can’t get enough of! 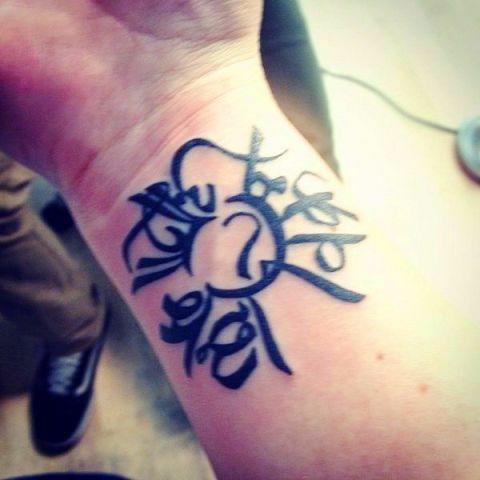 Another variant of it could be a combination of two tattoos which is very well known too, “Om Shanti.” Please find below the picture of the same. 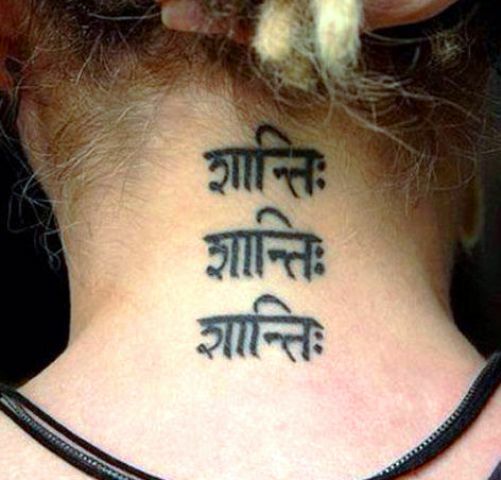 Gayatri Mantra is one of the most dedicated and pious tattoos all over the universe. It has its reference in various Vedas, Puranas, and Bhaghwatas. It is repeated as a hymn in various prayer houses too. It has a very divine meaning. People usually chant this during night time before sleeping, in order to have a peaceful and purposeful nap. 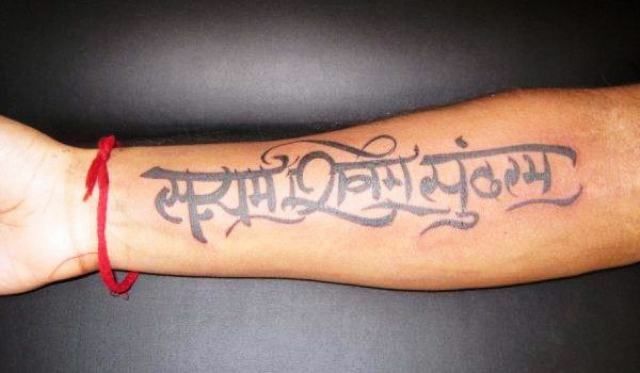 It is originally inked in Sanskrit and can be given a creative look. “Padma” as an ink inscribed in Hindi/Sanskrit gives a very pacified look. Its literal meaning is lotus which symbolizes the beauty of one who has risen above the tough times of his/her life. To be clear, it’s just like the lotus floats above the gloominess of the lake below it and still remains a thing of beauty. Lotus actually flourishes in the swamp of dead mud. 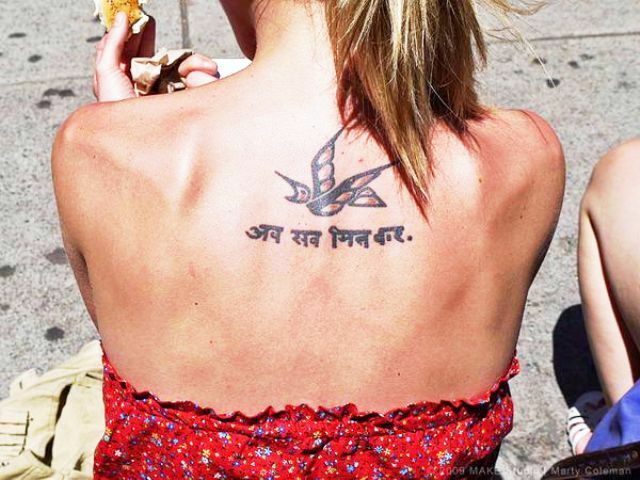 One can go for some tattoos in the sort of a verse/phrase in Hindi. The above in the picture means, “May all beings everywhere be happy and free and may the thoughts, words, and actions of my own life contribute in some way to that happiness and to that freedom of all.” Such verses are taken from epics having relevant and significant meanings. Anuugacchatu Pravaha means go with the flow. It can be used in both the contexts that are, a painful thought or warm memories. “Tat Parivartan Bhav” which means be the change you wish to see. 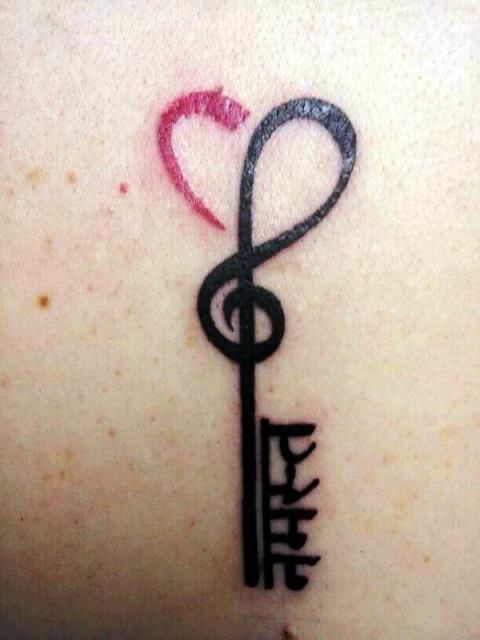 The above tattoo represents love for music. Anyone who’s fond of music or preaches music as an art can get it done. 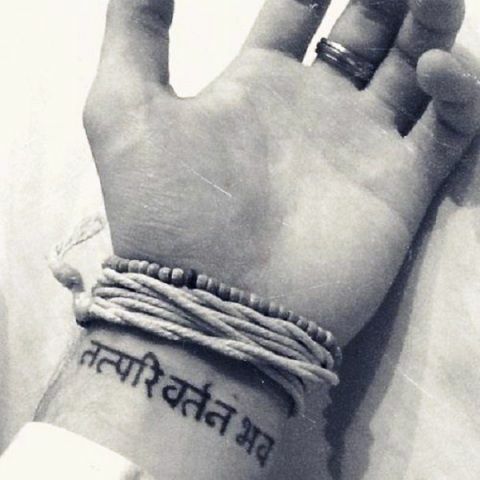 The above symbol in the picture stands for “Don’t Worry” inked in Sanskrit. This represents a book which has a very significant meaning. 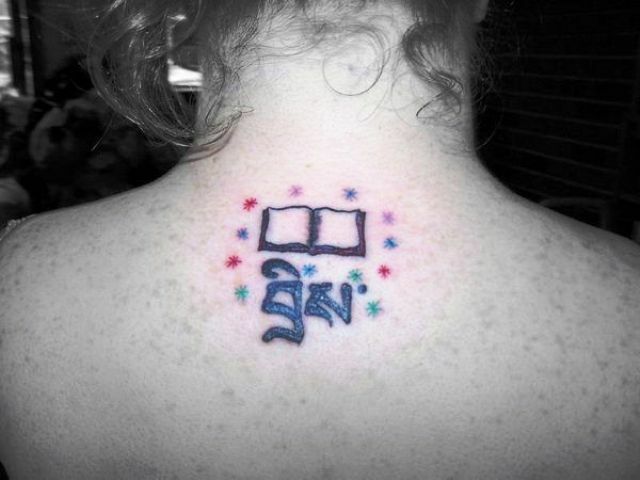 A book inked on your body looks great if your personality is very quest demanding. 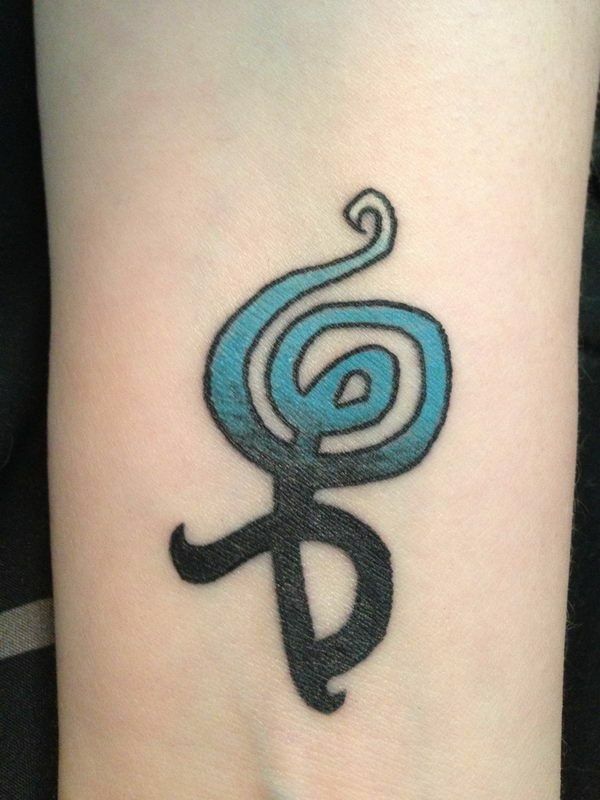 A person who is very bookish in nature and has a hunt for knowledge or thirst to learn more can have this tattoo. “Abhay” in Sanskrit means, Fearless or fear of none. 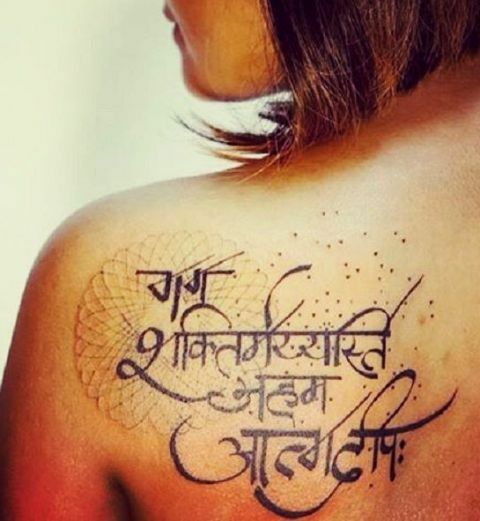 We can see a circular Sanskrit tattoo calligraphed in a creative manner. It reads hope, courage, and faith. 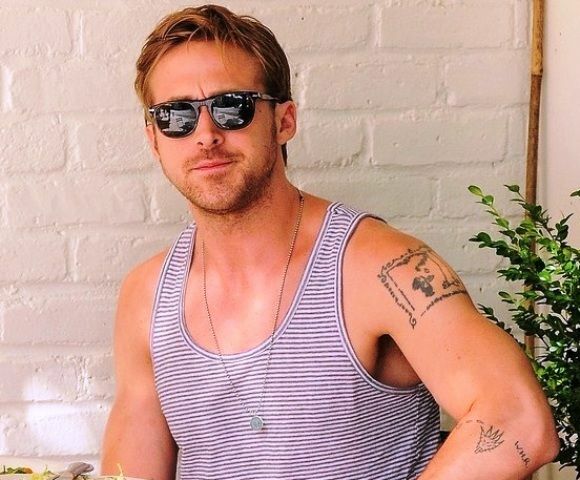 Such tattoos show a lively way of leading one’s life. “Av sab min kar” is a Sanskrit expression for “All is together for now“. 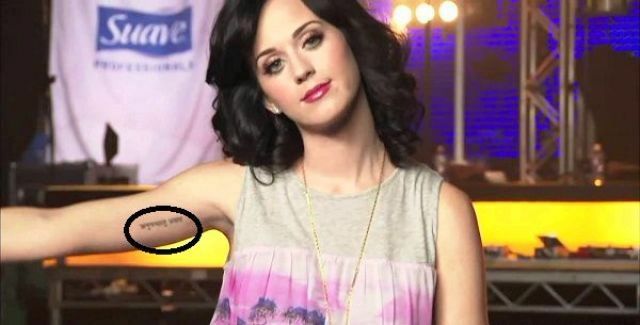 We can assume it to be some situation inflicted tattoo. Like at the end of the day after a lot of turbulence, all got set once for all. We can see commonly ancient laws and scriptures inked over all. These are mostly related to old-time values and dictums. One can always get religious faiths on his or her body as one of the inks. Such tattoos give positive vibrations as well as depict that a person is God-fearing in nature. Ahimsa means ‘not to injure’ and ‘compassion’ and refers to a key virtue in Indian religions. The word is originated from the Sanskrit root hiṃs – to strike; hiṃsā is injury or harm, a-hiṃsā is the opposite of this, i.e., cause no injury, do no harm. “Man Manayatey” means “To Believe.” Such a tattoo shows attitude full of spirits,will-power away from self-doubting. “Satyam-Shivam-Sundaram” is very crowd pleasing tattoo till today. It means truth is eternal and beautiful. “Timiram” means “Darkness.” This tattoo represents tough and low times of a person;s life. 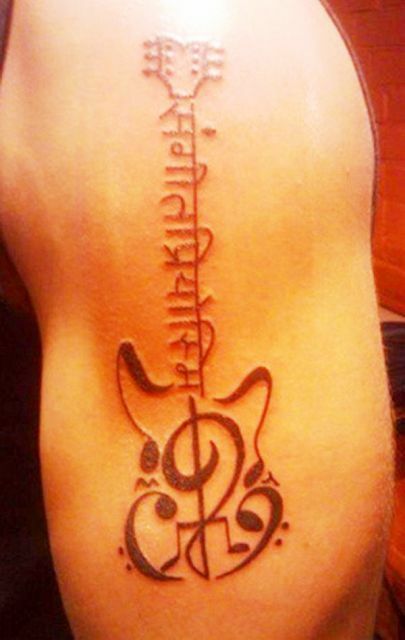 Above is a picture of a treble clef heart tattoo with a greeting “Namaste“, thereby meaning “Namaste” in Hindi and “Hello” in English. It looks good on ‘happy-go-lucky’ kind of persons. This is a third eye design famous in Sanskrit symbols and language. The third eye usually stands for an intuitive power and love for knowledge. These radiating rays in the picture show, one is no way confining his or her knowledge, rather wants to diversify it by sharing with others in the state of enlightenment. The above phrase in Sanskrit means “I am a fighter.” This shows the adamant attitude towards tough times and things that come your way. Also, the winning spirit in reflected here.